The Paperless Office: Myth or Reality? Our desire for the illusive paperless office has been around for many years. So, are we any closer to achieving this seemingly impossible dream with recent technological advances, or are we still consigned to emptying the shredder and waste bins every other day? The concept of the paperless office is certainly nothing new. In 1975, Business Week published an article on “The Office of the Future”. Much of what was predicated in that article has since come true, thanks largely to the release of the now ubiquitous IBM PC in 1981. However, since the release of the aforementioned PC, rather than decreasing, paper usage in offices doubled in the following 20 years, eventually stabilising around the millennium; hardly a success for the supposed paperless office! According to the Economist however, since 2001 office paper usage has actually decreased. So, it looks like we’ve finally turned the corner in our paper consumption, but does this mean that we’re close to realising the dream of the paperless office, or do we still have a way to go? Environmental driving factors are certainly key. We are becoming increasingly aware of our planet’s limited natural resources and are beginning to use them more wisely. Paper comes from trees; so it doesn’t take a rocket scientist to realise that using less paper will mean less trees get cut down. Every company tries to minimise its overheads to remain competitive. Reducing paper usage is one such way, as printing on paper costs money. The younger generation have been brought up on computers, e-mail and the internet and tend to print less. Newer technologies have undoubtedly helped, such as the widespread adoption of broadband internet. Bigger and better monitor technologies, like widescreen LCDs and multiple monitor systems, have made it easier to read and manipulate documents on screen. My interest in the paperless office was kind of forced upon me. In July 2000 I dived into my neighbour’s swimming pool, breaking my neck and leaving me paralysed from the neck down. Consequently, turning pages or scanning through a book suddenly became quite problematic. If my sanity was to stay intact (some may debate this point), then I clearly had to find alternative ways of doing things. Prior to my accident, I was half way through writing my PhD thesis. I had a lot of papers to reference and a logbook full of notes and experimental results. I needed to be able to reference these quickly and easily without having to rely on someone to change pages for me. Thanks to a cheap scanner and a copy of Adobe Acrobat Professional, I was able to scan all of my key documents and save them in the now common PDF format. I could then grab any of the documents at anytime from my computer’s hard drive. I now use the scanner and PDF combination on a regular basis to electronically file an array of documents that may need to be referenced in the future; from equipment manuals through to tax returns! Scanning can be cumbersome or overkill for certain situations. For quick image capture, I have sometimes taken digital photographs of equipment labels for future reference. Author of the book, The Four Hour Work Week, Tim Ferriss, takes this approach to the next level and takes digital photographs of documents to archive rather than mucking about with a scanner. How you capture and store information digitally doesn’t really matter, providing it’s quick and convenient and readily accessible at a later date. If the fax machine hasn’t died already, then it’s certainly got an extremely weak pulse and all of it’s relatives are crowded around the bed. If you need to send a document, just scan it and e-mail it as a PDF attachment. 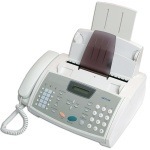 This is essentially all a fax machine does anyway. If the receiving party really needs a paper copy, they can always print one off, although this is obviously not to be encouraged. If someone needs your signature on a document, what’s the difference between signing a paper document and faxing it or attaching your scanned signature to an electronic copy and e-mailing it? None that I can determine, they both get sent down the telephone wire. So, why not scan your signature and keep it on file somewhere. Next time you need to send a signed document, just paste it in and click send; so much simpler and quicker. The internet is an amazing tool to help with the paperless office, but if used unwisely can also conspire against us. How many people regularly print out e-mails as a case in point? They’re electronic, so leave them there; only print them out if absolutely necessary. Using online banking and direct debits to pay your bills will help reduce your paper consumption as will opting to receive ALL of your bills via e-mail. Most delivery companies ask you to sign for parcels on a small PDA carried by the delivery man. Not only does this greatly reduce the amount of paper used, but also allows you to track our parcel’s progress online. Electronic books can be downloaded online and read on your computer with free eBook reader software such as Adobe’s Digital Editions. This technology has been available for a while, but unfortunately it’s only recently that publishers have started releasing their offerings (old and new) in this format. 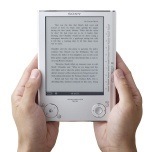 The new Sony eBook Reader allows you to download hundreds of eBooks into one standard paperback sized, lightweight package and read them whenever you want, just like a conventional book. Using new paper like display technology, one charge of the battery can last the equivalent of reading 20 average paperbacks! So, if we’re not quite there yet, what’s stopping us moving forward to the truly paperless office? Paper is comfortable, we’ve grown up with it and it’s hard to kick the habit. Younger generations have less of a problem with this, but it takes time to filter through the system. If we can manage to wean ourselves off paper, what befits can we look forward to? Subscribe for free to get my latest blog posts delivered directly to your email inbox. 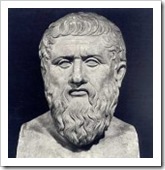 I enjoyed reading your article – it did get me thinking. The most annoying source of paper to me are the dozens of debit/credit card receipts that fill your pockets, wallets/purses, table tops, car ash trays etc. we can’t do without them (yet) but do we do anything with them other than shred them after checking their validity some time in the future? Of course we need them to exchange returned items – or do we? Maybe this is an application for memory stick technology? Then there are greeting cards….. It looks like some of the issues you are encountering when you file could be solved by using software to keep track of your files. You can try The Paper Tiger Filling system to help you better keep track of your files. Give it a try! We are BBB A-Rated business and are always looking for ways to help people file! I really like and appreciate your blog.Much thanks again.